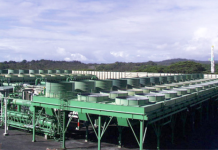 Holders of Ormat Technologies (ORA: NYSE) shares may feel somewhat blindsided by the cessation of operations at the Puna geothermal power plant on the Hawaii Island. Lava flowing from neighboring Kilauea volcano has overrun two of the geothermal wells as well as a warehouse and an electricity substation. Ormat is not the only geothermal power company with publicly traded common stock. Innergex Renewable Energy (INE: TO) is began its first foray in geothermal energy with the acquisition of Alterra Power in early 2018, and Calpine Corporation was taken private in 2017 by the private equity fund Energy capital Partners. The actions left two fewer public stocks through which minority shareholders can take a stake geothermal power. Of the five remaining, geothermal power sources represent a significant portion of total power production for all except one. The Italian utility company Enel has a very strong track record to renewable power production, but is just getting involved in geothermal. 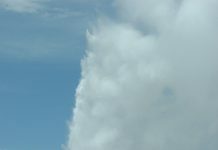 Notably, initial news reports related to the volcano and the Puna Geothermal facility appeared print and online media. 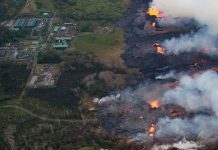 The company remained silent on the topic until well after the initial volcanic eruptions before issuing updates through a news release service. Ormat has yet to submit an 8K filing with the SEC and waited until the week of this post to display updates about the Puna Geothermal facility on the corporate website. Sluggish communications with shareholders appear to be the norm for Ormat, a habit that has attracted a scrum of law firms investigating the company for breaches in fiduciary duty by management. The more diversified Enel has been given something of a pass by investors. The rest of the geothermal power group has been punished by traders over the last few months. Ormat, with its high profile difficulties has seen its stock price trimmed by 18.7% over the last six months and reduced by 28.2% from the 52-week high sent in late January 2018. A good share of the sell-off was in initial reaction to the announcement of year-end financial 2017 results. The stock has been attempting a recovery until news of the Kilauea volcanic activity become more visible in the news. Innergex Renewable Energy has also been given a thorough thrashing by traders, perhaps because of new exposure risk in geothermal power generation through Alterra Power. The stock has lost over 20%% value over the last three months. Polaris Infrastructure (PIF.TO) is focused on developing geothermal power in both North and South America. The company has been stripped of 28.7% of its market value over the last three months. Yet it seems Polaris price trends appear to be more in reaction to sales and earnings performance rather than growing awareness of the risks in geothermal power production. Average forward price/earnings ratio for the green and renewable energy sector is 38.96. The forward price/earnings ratios for the S&P 600 Index is near 24.0 times. It seems plausible that renewable energy earnings higher multiples because of expectations for faster growth than most of the companies in S&P’s index of small companies. The S&P 500 Index of large companies, against which Enel is best compared, merits an average price/earnings ratio of 16.5 times forward earnings. Ormat’s forward price/earnings ratio is higher than the rest of the group. However, this is to be expected given that the company’s sales and earnings have been trimmed beginning in the current quarter with the loss Puna Geothermal plant closure. It might even be too simplistic to assume ORA shares are trading only in reaction to difficulties in Hawaii. Ormat has a restatement of financial results underway and the threat of delisting from the NYSE looming over its corporate head. There are many reasons for investors to worry about the company. The valuation dynamic for Ormat is probably the same for each of the other geothermal power companies. There will be a mix of factors that influence valuation for stock. Yet, with the lava spouting out of Hawaii’s Kilauea volcano it is certain that forewarnings of the risk of volcanic activity will be taken more seriously than ever.